For this installment of Artists Against Hunger, we’re honoring the memory of our friend and fellow AAH alumni, Deb Parks. 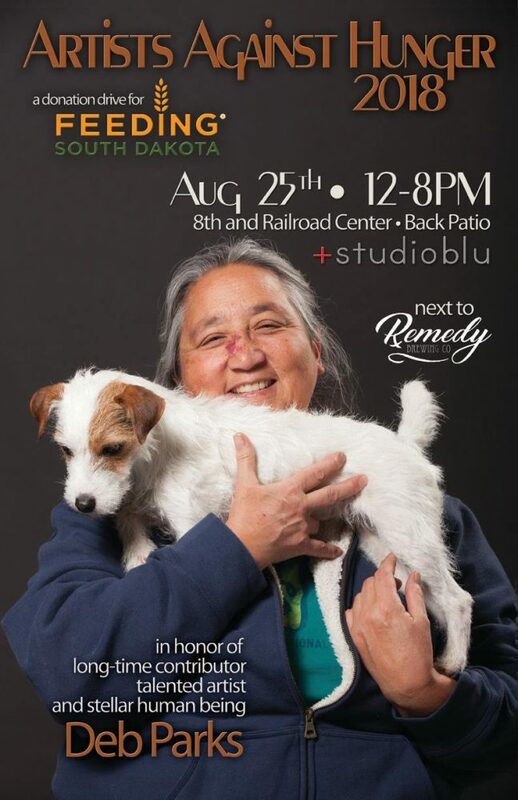 All donations made to Feeding South Dakota during the event will be made in her honor (to date we have donated over 25,000lbs of food to the organization). Here’s a little info regarding the event, and a copy of our poster. Thanks again for any insight or promotion you can provide for the Block Party & AAH.